At Auto Diagnostic Services we offer a complete diagnostics service for all vehicles, all makes, all models. With over 20 years specialist experience we have become the "Go To" car diagnostics in Leeds experts for other garages. Yes, other garages come to us not only because of our knowledge base, but because we have invested 10's of thousands of pounds in diagnostic equipment that is faster and more specific than cheaper scanners on the market. We'd like to take this time to thank all of our customers, old and new for making ADS what it is today. For a 5% Discount, follow us on Facebook. Click the logo to our Facebook Page. We have professional diagnostic scanning tools that allow us to identify specific vehicle problems quickly and easily. This allows us to locate problem areas and get to work on fixing them much faster than a traditional manual check-ups. With a wealth of experience in the trade ADS has noticed that the biggest change has been the increased use of electronics in cars. "About 30% of our business is now to do with electronics rather than mechanical problems." 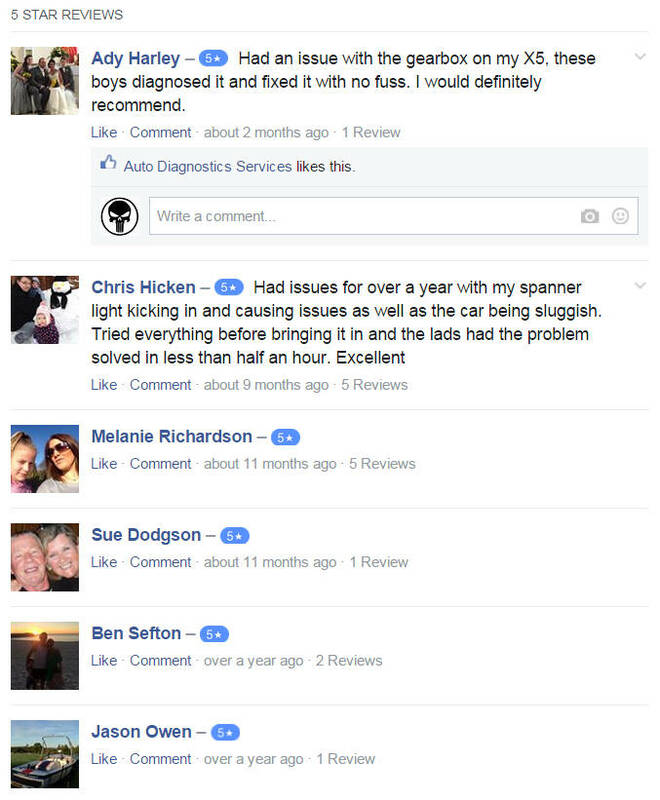 With this increase in demand ADS Leeds have become a recognised name in electronic diagnostics in the local area. Our vehicle diagnostics systems and expertise are capable of fault finding for most vehicles, new and old. We have such a good reputation in diagnostics many local garages use us to carry out diagnostic work for them as auto electricians in Leeds. We offer dealer level diagnostics and have one of the most comprehensive set of vehicle diagnostics tools in Yorkshire. We also have strong diagnostic tools for Japanese and Asian plus other generic tools such as Snap On. Most of these checks don't take long and can be done while you wait. When it comes to auto diagnostics in Leeds, remember, fast diagnostic solutions means that you save money on expensive garage bills for time extensive manual fault finding. 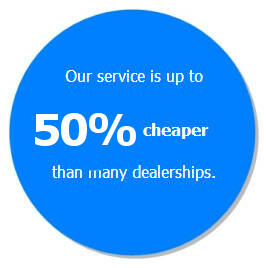 If you were to take your vehicle to a dealership, chances are they would need your vehicle for the entire day. If you're lucky you may get a courtesy vehicle for the day. The charge from a dealership for auto diagnostics in Leeds print out of just the issues with your car without actually doing the repairs can vary from £125 to £250 depending on the make and model of your car and the dealership used.